Getting kids excited about vitamins at an early age will hopefully encourage them to make healthy choices in the future. One thing is for sure though, kids won’t be excited about vitamins that are too big, hard to swallow or don’t taste good. 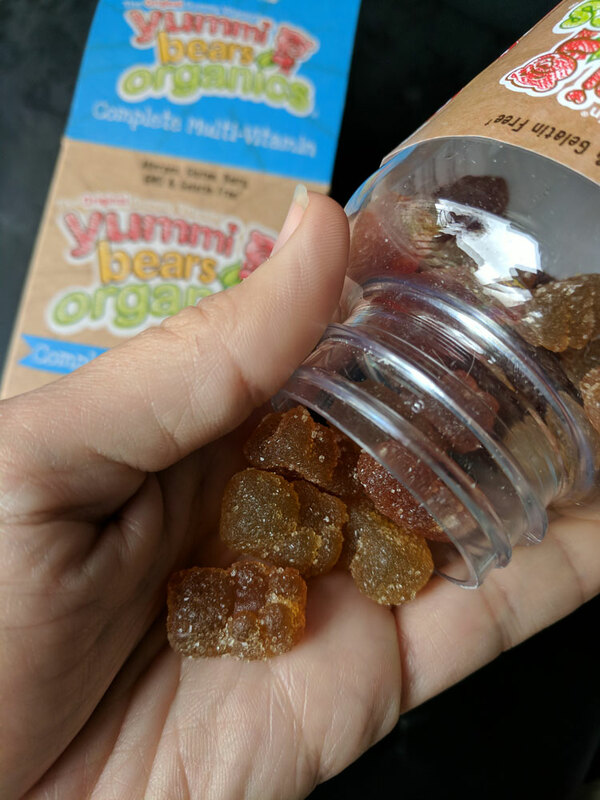 The Yummi Bear Organics are not any of those things. 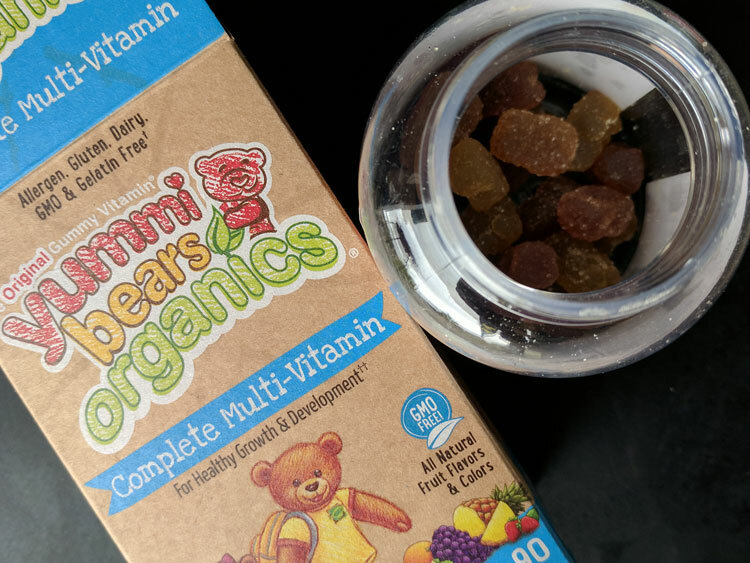 Yummi Bear Organics are a great choice for kids vitamins. I recently tested out the complete nutrient vitamins and can verify that they are tasty and kids would like them. They are shaped like gummy bears, and feel like you are eating candy. Believe me, it is hard to eat just 3 (which is the daily serving size). 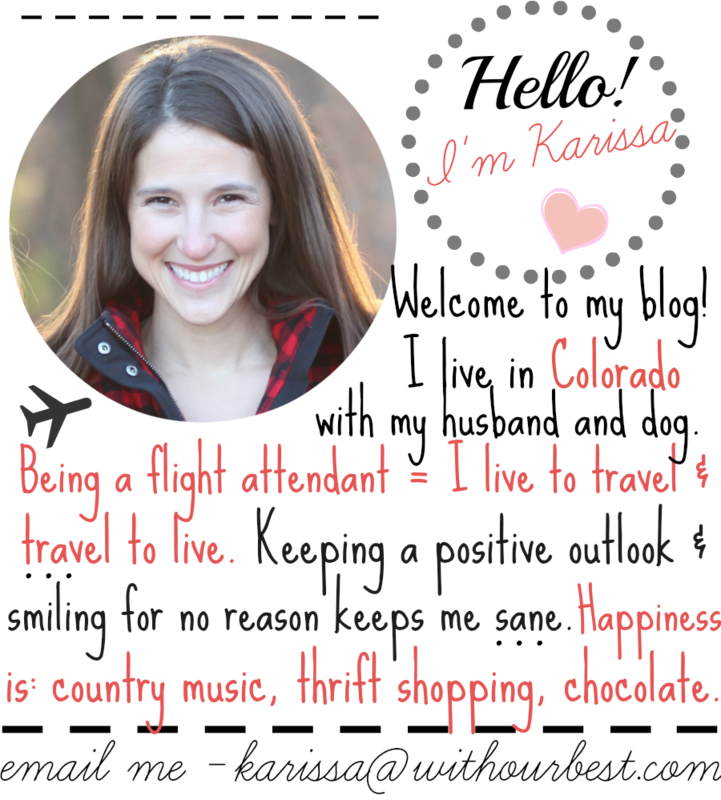 There is a lot more than just taste included in the reasons I like Yummi Bear Organics. Most importantly, they are a complete multi-vitamin, featuring 16 essential nutrients, vitmain A, C, D, E and more. Any mom can appreciate that these gummy vitamins are non-GMO and support a child’s healthy growth and development. 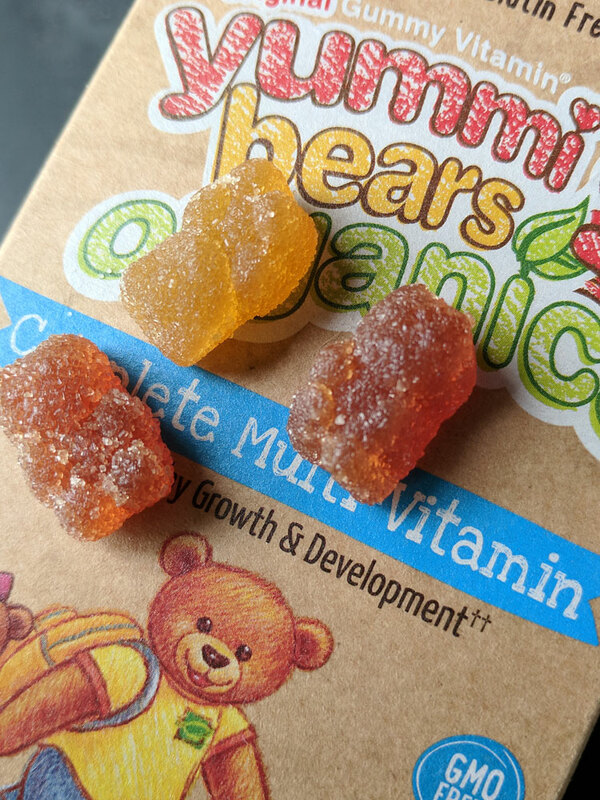 The Yummi Bears Organics Complete Multivitamin was invented in 1997 as the original gummy vitamin. They are recommended for children 2 and up as long as they can chew and swallow easily. 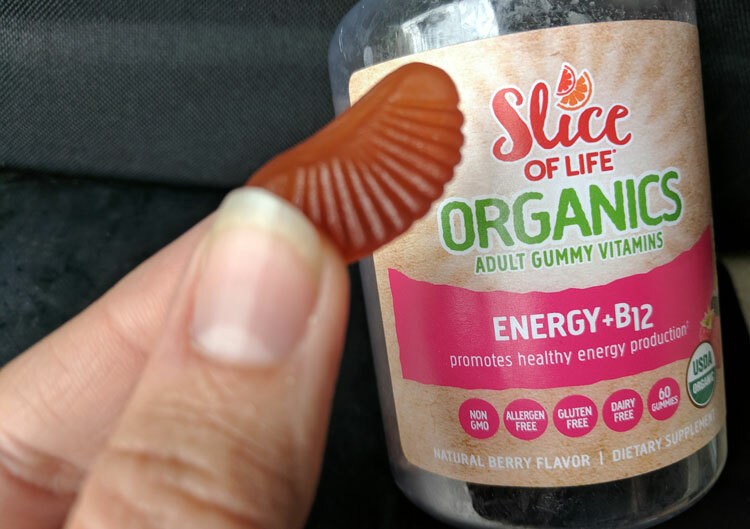 I also got to test the Slice of Life Organics energy and B12 vitamins which was created in 2007 designed for adults in mind. These gummy vitamins are also organic, non-GMO and 100% of the daily value of Vitamin B6 and folic acid. The B12 in the methylcobalamin form is easy for the body to absorb and for the body to utilize. Because it is pointless if you take vitamins that the body can’t use, right? The B vitamins support heart and circulatory health as well as energy metabolism. I enjoy the natural energy I get from these vitamins. They help me start the day and promote energy that I need to get through long days. The energy I get is not shaky or disruptive, like I will often get from caffeine drinks. It is a more productive energy. Hero Nutritionals have a large selection of other vitamins, all of which are organic, non-GMO, dairy free, gluten free, peanut/tree nut free, and gelatin free. They are safe for most allergens! Whole Foods Market, Sprouts Farmers Market, Ralphs, Kroger, Smart & Final, GNC, Vitamin Shoppe, Jimbo’s, amazon.com, and costco.com. To find Hero Nutritionals Vitamins in your area check the full list of locations. Both my kids love gummy vitamins and these look really good, I like the fact that they are organic! I will have to pick up some next time I go to Costco. This is going to sound crazy but I started taking yummy gummy vitamins myself lately. I find I reach for them daily which I wasn’t doing with the tablet ones I bought. I’m going to have to check this company out. I live alone but I do prefer organic products. The problem I have with gummy vitamins is I always want to eat more than you’re supposed to. I learned the hard way how sick you can get if you take more than the daily dose. LoL. They just tasted good and I wanted a couple more. haha. Don’t do that! My daughter is such a picky eater now. I always worry that she’s not getting all the vitamins that she needs. I will ask her pediatrician if I can give her gummy vitamins. This is neat! 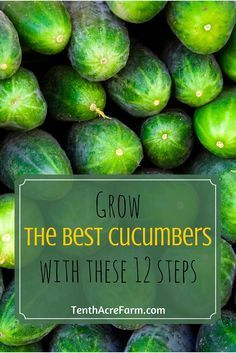 I am going to have to give these a try for my littles! We have always use the Flintstones vitamins. I will have to look into these after reading this.